Last month we posted a Hebrew and English version of the Spanish hit song Despacito by the Maccabeats. The original song, which has been seen more than three billion times on YouTube, has inspired many other versions and parodies. 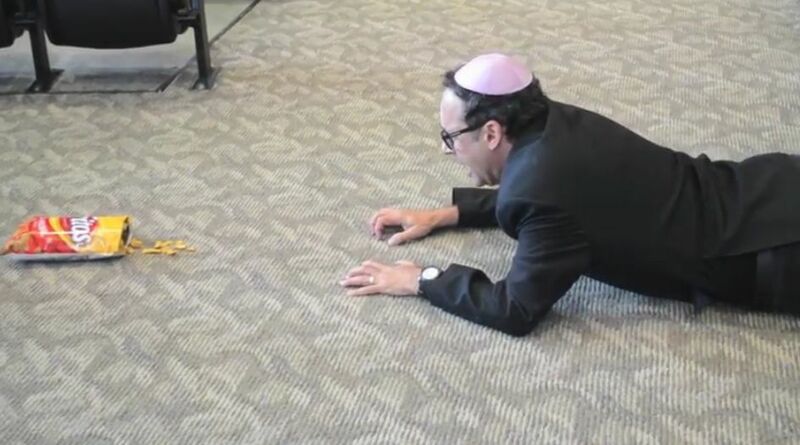 One of the most recent parodies was filmed by the San Diego JCC at Congregation Beth Israel. It's a lighthearted commentary on the challenges of fasting on Yom Kippur. Wishing you an easy fast and a G'mar Chatimah Tovah. We'll be back Sunday with more Jewish humor. Let's not trivialize Yom Kippur to get a laugh of for any other reason! Have an easy AND MEANING FAST, ALL. Food is the least of our worries on Yom Kippur. One who unerstands the meaning of the tefillot will agree. Love from Israel. Lighten up, Jews. YK is grim enough.